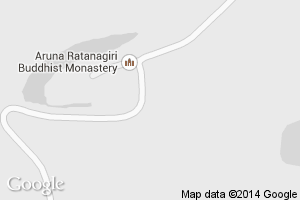 If you would like to offer your help to the monastery in whatever area − cooking, driving, cleaning, gardening, plumbing, etc. − please contact the monastery or download a Harnham Helpers form. The 'Harnham Helpers' form allows you to specify what you would like to offer and to give us your contact details, so that we can contact you when the need arises. The following are volunteer positions at Aruna Ratanagiri for which occasionally vacancies come up. If you are interested in any of these, please contact us via sangha@ratanagiri.org.uk or by phone on +44 (0)1661 881 612 to arrange an initial meeting. Kitchen Manager - We have a reoccurring opportunity for a volunteer to manage the monastery kitchen for 6 to 12 months. Applicants need to be male, with a European passport, fluent in English, comfortably familiar with Theravada Buddhist practice, and feel confident with vegetarian cooking. Responsibilities focus on daily organization of cooking activities and food storage. Applicants need to have ability with people management, and a general awareness of health and safety and food hygiene issues. A clean driver’s licence would be ideal (though not necessary). Someone taking up this voluntary position of kitchen manager would have a single room, two meals a day, and the opportunity to participate in retreats and daily meditations. Guest House Manager - This is a voluntary position to manage the guest house (Kusala House). Applicants need to be male, fluent in English, comfortably familiar with Theravada Buddhist monastic practice, and able with general repair work. A clean driver’s licence would be ideal (though not necessary) and they would need to be available to commit for a minimum of six months. Someone taking up this voluntary position of Kusala House Manager would have a single room, two meals a day, and the opportunity to participate in retreats and daily meditations. Help at the lake - Help with planting and staking trees, cutting grass and other tasks that involve developing the lakeside. Regular Volunteer Work Days are organized for each month. You can find out the dates and more information about them on the calendar and the announcement page on this website. Help in the kitchen – If you have some basic culinary skills and would like to help out on either an occasional or regular basis, then please get in touch and we will gladly explain how the monastery kitchen operates. Driving – Although the monastery does have its own car, we sometimes need to find someone willing and able to take on the task of driving members of the Sangha on such necessary trips as teaching groups, visits to the doctor, and to the station or airport, etc. Gardening – Help with weeding, planting, cutting the grass and other tasks that need to be done in the garden, is always appreciated and can be a pleasant way to spend an afternoon. Building and decorating – As in every home, there is always something needing repair or replacement. If you have any skills in this area to offer on either a regular or occasional basis, then please get in touch. If you feel you can assist in any of the ways suggested above, please contact us as we would appreciate any help offered.